AFL Sydney is pleased to announce that the 2017 Round 9 Women’s Rising Star is Julia Hunt from the UNSW Eastern Suburbs Stingrays. 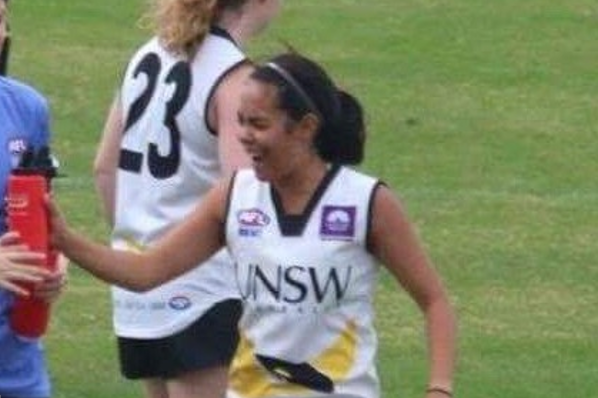 Julia is in her first season of AFL and joined the Stingrays in the November preseason sessions. She has played in both Division One and Premier division team and is a key midfielder and dynamic forward. In May she represented in the Giants Harvey Norman All Stars U21’s team to take on the NSW/ACT U18’s at Spotless stadium. 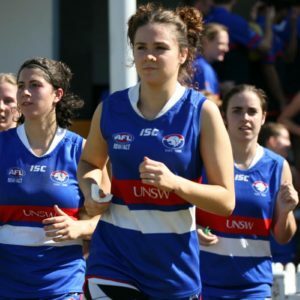 A small outside player with great skills in her first season of AFL Julia contributed to the Stingrays last week against a very competitive Macquarie University team, relieving on the wing and across half forward. 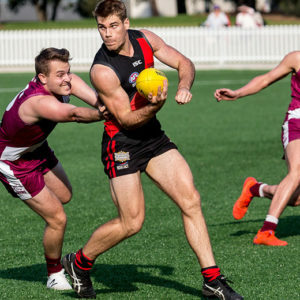 AFL Sydney congratulates Julia on her Round 9 Rising Star nomination.